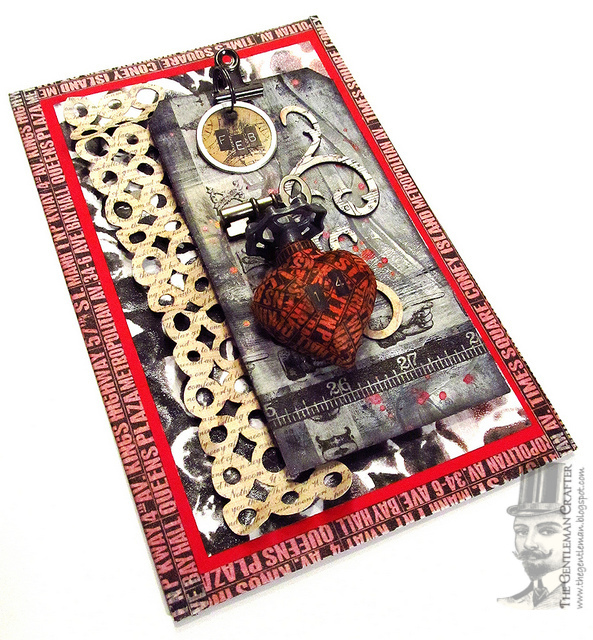 The Gentleman Crafter: Card Making With Gelli? Of course it's the evening... I'm waiting for another video to load that should be up by morning... so that's why I'm writing this in the evening... for a morning post! LOL! Now if that doesn't sound like a Jimism than nothing does. What's even worse, I think some of you are starting to get my Jim speak! Anyway, last night, I got all crazy with the Gelli Plate from Gelli Arts! I received this for Christmas and never had time to really pull it out and play. I just watched my friend B do it and honesty had a blast just watching her work magic. Well, it was my turn to dig it out and have a go! You talk about addictive, this is truly addictive! The thing you MUST remember is to have a fresh stack of cardstock on hand, because you will be pulling monoprints all night long! Trust me! It's like this... "wonder what happens if I do this...what if I add this color....Oh that's cool, but if I do this what will happen." It was an awesome night for coming up with a ton of backgrounds I can go back and use when I need them. So, not watching any Youtubes for instruction (go figure!) just going on memory (what's left of it!) I began my first prints. They are not the most artful things you will ever see, but it was another first attempt at something new. Pushing myself to learn new things this year...Gosh It's Fun! This to me would make excellent fodder for collage, mixed media projects and for me, card backgrounds. So, with that in mind, I give you a video and a couple of cards I created using the pulled monoprints as backgrounds. Well, I hope you can find some inspiration from these. I had a great time playing! Your Valentines are inspired as always. I love the two concepts, they are so artfully created. Did you cover your screen last night so no mighty bugs could bomb out your upload? The Gelli Plate was interesting, never seen that before. Your cards are Amazing!!!! Thanks for the demo vid. Love those Valentine cards!! Sometimes you just have to play and get messy - that's when you allow your creativity to run amok! I've seen some very interesting results from the Gelli plates, but my question is - do you really need them? Wouldn't you get the same results from spreading your paint/ink/whatever on a teflon pad? What makes the plate so special for this application, I guess is what I'm asking. At any rate, love the results you got and the cards are fabulous. Yes, you can use other smooth surfaces to make monoprints. However, the results are different. I tried doing prints from my craft sheet and I was underwhelmed. The Gelli plate is a wonderful surface to make monoprints. It's soft vs. the hard surface of the craft sheet. I find it much easier to work with. I love my Gelli plate. I am going to play with my gelli plate this weekend. Loved watching your creations! Where did you get those cool hearts on your cards? 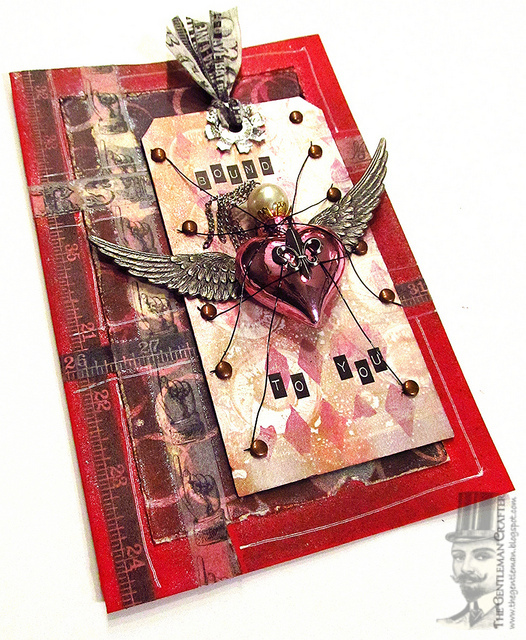 Love them and I love your cards - such a great look for valentines! Have a great day! Today is the first I'm hearing about Gelli plates. Where have I been? This looks very fun! And you crack me up with your devil-may-care experimentation. Just like being there with you, hanging out and trying stuff, not exactly knowing where things are going. Very fun! Fantastic cards! So dimensional and bold. Love the faucet knob on the heart. Will save the video for my lunch break. Have a great day. I've been hearing so much about Gelli Plates lately, I guess I'll have to get some now that I know what to do .. thanks to you!! I love the projects .. awesome inspiration for Valentines Day card for the hubby. so cool Jim, love the videos to inspire us all... thanks so much.. have you tried the shaving cream technique on glossy paper and alcohol inks? you can get some really cool effects from that also. love to have these backgrounds to make one of a kind cards or tags.. hugz my friend.. Your cards turned out fantastic Jim! TFS! OMG... I love these cards! I watch your video later on tonight! I have yet to get the gelli plate; but have it on my wishlist! (Ever growing wishlist!) I hope you have a wonderful day! That was fun watching you play. Loved a couple of the templates you made. Great colors! ROTFLMBO!!! You are so funny!! I loved that you were just playing without any preconcieved ideas. Um...was the word you were looking for..."stencils"? I love what you did pouncing and pouncing the black thing...was that a handle from a blending tool? 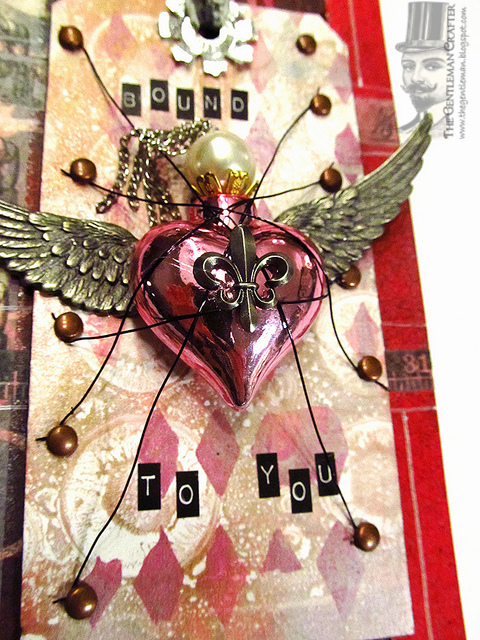 Love how the Valentine's came out using your Gelli prints...super cool!! I'm going to have to try the painted with a brush stripes...new idea for me. Such fun to watch! I'm still chuckling, love your 'give it a try' attitude, and the wonderful patterned paper created! Amazing cards sir! Feel free to 'valentine' me! Sorry being a tad forward! That Gelli thing is pretty cool! The cards are Awesome!!!! My favorite is the bound to you card, what an imagination you have Jim. I'm sure we all would love to receive a valentine from you Jim, someday you'll have to do a raffle for a chance to win one of your cards. Thanks so much for letting us play with you. Awesome cards!!! Just knew you'd find something to use those bazillion brads on that came in the mega box for the eyelets you needed. I got introduced to Gelli plates 2 years ago when I attended a retreat in PA hosted by a couple girls from The Queens Ink and one of the other attendees brought her Gelli. We had more fun playing with that in our free time!! And of course I was hooked! But now I need to pull mine back out and re-visit with it... thanks for inspiring me! I enjoyed your video so much. It was great to see you try out the gelli plate for the first time. Makes it real easy to go try it myself. I kept waiting for dive-bombing bugs. And no directions - you're as bad as my son. Often ends up with very creative results though. Both cards are winners! How did you get the tape wrapped around the first heart so well? Looks great.That's it - I'm getting a few of those hearts - love them.I'm so glad to see you having some time to do just what you want.Have a terrific day yourself. P.S. We need a summer camp get-together or something. This group would have a blast. Love watching you play! The resulting cards are awesome! FABULOUS!!! Love you trying new goods Jim! Gorgeous cards are well...super cool! 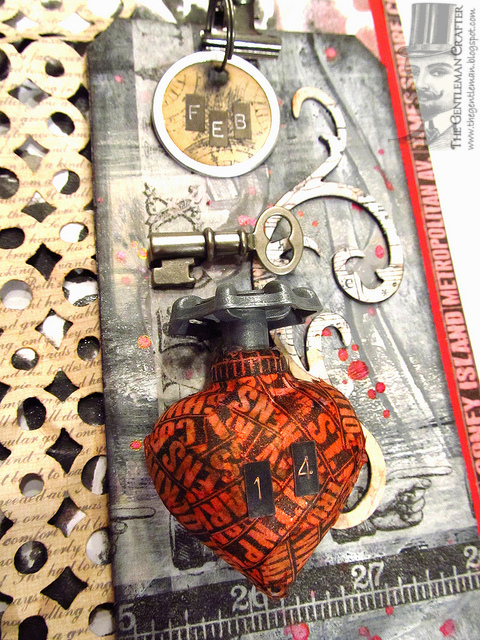 Love the cards, and saw the circles on your backgrounds, your gelli prints worked out perfectly! You are such a hoot to watch. I LOVE learning from you. TFS and I adore your fabulous projects!!! How fun was that!!! We all need time for puttering in the craft room- that's when the magic happens. And you so make magic happen, Jim.The cards are great, and being a Southerner, the dive bombing bugs cracked me up. Thanks for the fun inspiration. I had sooooooo much fun watching you play with this. I've heard people mention them, but never saw anyone using it live. Looks like a blast. I love your harlequin background above. Wow! Always fun to come and pay you a visit, Jim! What white card stock do you use? Hiya Princess...Well,,.Actually what Iused tonight came form Michaels. But, I have purchased a boatload pack from Office Depot in the past and will be exatly what I do when I pull this out next time. LOL! So fun watching you play with the Gelli plate. It's on my wishlist. Great cards, Jim! I am presuming the heart is a Christmas ornament sort of thing? And you are right, Gelli is addicting! Love mine! Nan, yes, I'm uploading a video know about the hearts. I've received a ton of emails asking so, I thought I would show you all... It's going to be on my Youtube channel....soon...I hope! Hahahaha! Watched your video last night... love it! 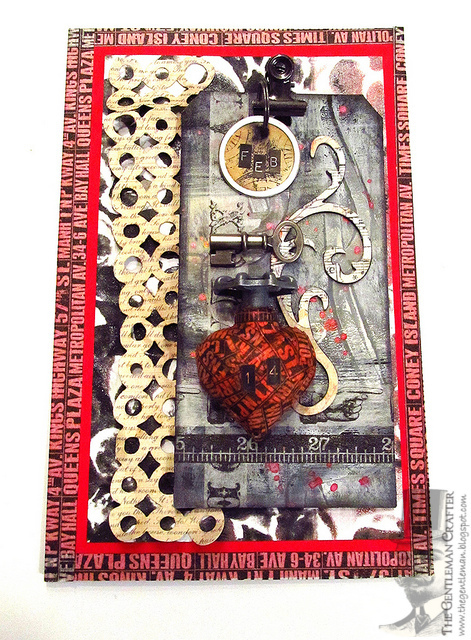 The Gelli plate just moved up 3 lines on my wishlist! LOL! You looked like you were having so much fun! Thanks for sharing your experience with me! Have a fabulous day Jim! It's so much fun watching you play Jim - and without actually getting any paint under my nails! 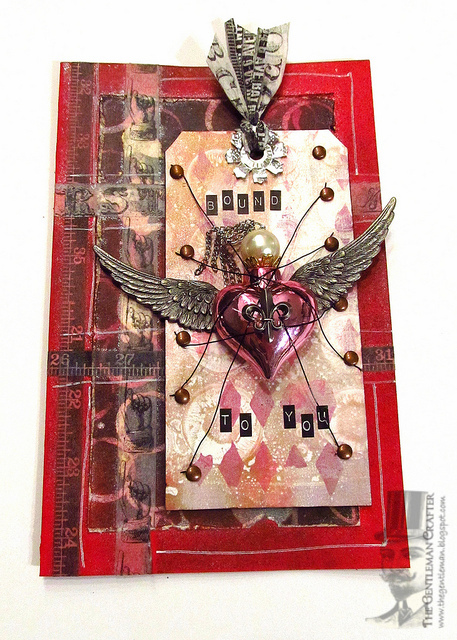 I wasn't sure whether I'd use a Gelli plate or not, but now it's on my wishlist. I know that Dyan sells them at Art from the Heart so I'm off to see how much they are now. This looks so stinkin' fun! How therapeutic. Now, where can we buy these Gelli plates? I keep wanting to call it a gelli roll, so when I go to the craft store they will send me to the bakery. Beyond fabulous. I love them all. Gelli plating is addictive. Thank heavens for cheap cardstock! Your post is awesome. So many new colors and techniques to work with. Like you, I love Gelli Printing too. It's fun and interesting. I have tried many inspiring ideas from this book. You must check it out too.